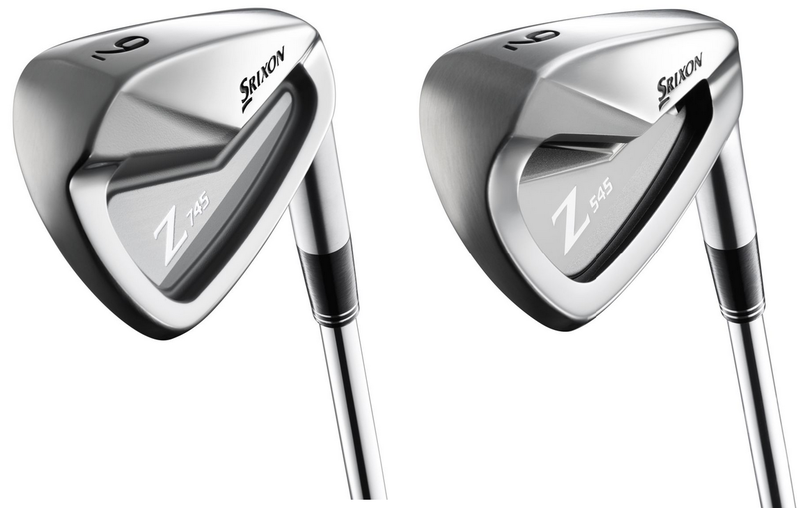 The Srixon Z 745 and Z 545 pick up right where the Z Series woods left off. These irons are sure to catch every passing eye. For those seeking a traditional looking club packed with technology and innovation, the Srixon Z 745 and Z 545 irons are the way to go. The irons feature a newly developed Tour Extreme V-Sole through rigorous testing with tour athletes such as Keegan Bradley, Graeme McDowell, Hideki Matsuyama and Inbee Park. They’ve designed a sole to look like a “V” by increasing the leading bounce and decreasing the trailing bounce. Through testing this “V” sole tightened shot dispersion and created a consistent feel at impact. They’re also forged from 1020 carbon steel which is the softest steel available. This forging provides a soft and responsive feel at impact. The face of the irons feature a double laser milling process that places two different patterns on the club face, one parallel to the grooves and another slightly angled. These two different patterns create consistent spin from all lies, fairway, rough, or bunkers. Through testing these irons have also produced a closer distance gap in all playing conditions (rain or dry) than those without this groove pattern. To learn all about the Srixon Z Series woods see our previous post.